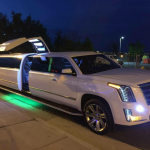 The Biggest and Best Luxury SUV Limos Denver Has To Offer! 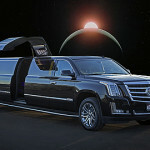 When only the biggest and the best will do; Sunset Limos offers the best fleet of SUV limos in Denver. Make it a memorable night in the Mile High City with our Porsche Cayenne, BMW X6 or one of our Cadillac Escalades, including the famous “pinky“! Call (303) 426-9668 or click here to reserve one of our SUV limousines today. New for 2019, perfectly appointed, one of a kind! 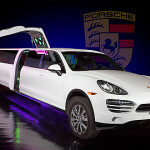 Introducing a vehicle unique only to Sunset Limos: the Porsche Cayenne limo Denver! A night club sound system that is second to none! 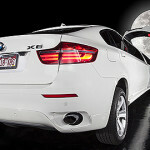 The BMW X6 limousine will make you the star of your own red carpet event. 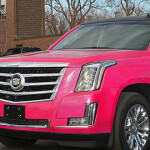 Ride in the most unique limo in Denver; Sunset Limos pink Cadillac Escalade! The only hot pink Cadillac Escalade limo with gullwing doors in Denver. Cadillac is synonymous with luxury and elegance and their is no better way to arrive at your event in the Mile High City. Our newest vehicle, combining old-fashioned American class & comfort with cutting edge light & sound technology.